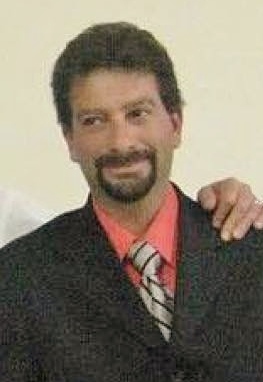 Frank A. Tomanelli, 46 of Middleburg, FL passed away Sunday, March 25, 2018. Mr. Tomanelli was born in North Bellmore, NY and moved to Middleburg in 2005 from Long Island. He was a member of the St. Luke Catholic Church Parrish and was employed with Comcast for the past 18 years. Mr. Tomanelli is survived by his parents, Frank and Margaret Tomanelli, son, Cosmo Tomanelli, girlfriend, Marie Akers, four brothers, Mark (Carol), Cory, Dean, and Douglas Tomanelli and many nieces and nephews. Funeral Services will be held 11:00 AM Saturday, March 31, 2018 in the Chapel of Russell Haven of Rest with burial to follow in Russell Haven of Rest Cemetery. Visitation with the family will be from 5-7:00 Pm Friday evening at the funeral home. My heart weeps at this loss. My deepest condolences to his family.